Eric Orchard is a Canadian illustrator whose amazing work we were introduced to via the magic of the interweb maybe six months or so ago. I honestly can't remember what steam of conciseness Googling or linkage first brought either Leah or myself to Eric's website but, as so often occurs in the world of comics, it didn't take long for us to realise that the old six degrees of separation rule - or in this case more like two degrees - applies yet again. It turns out that Eric is currently collaborating with our old chum Shane Oakley on a Steampunk series entitled The Girls of Fogg Academy. You can keep up to date with Mr. Orchard's biographical posts about the world of Fogg by clicking HERE. 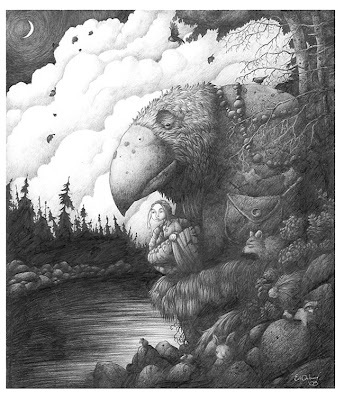 There is something genuinely magical about Eric's work, whose style reminds me variously of people such as Brian Froud, Arthur Rackham and David Petersen but which is definitley wholly his own. Keep an eye on http://ericorchard.blogspot.com/ to see what he comes up with next. Magpie Killjoy is the brains behind and contributing editor of the wondrous Steampunk Magazine, which I myself have also had the pleasure of contributing to. A self described "proud anarchist, author, accordionist, steampunk, photographer, vegan, designer, editor, activist, what-have-you", Magpie can now add Blogger to that list. 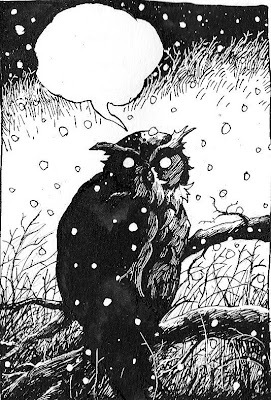 Covering music, politics, art, history, writing and everything in between, Magpie's http://www.birdsbeforethestorm.net is a must bookmark site for anyone interested in... well, anyone interested in reading a really articulately written and genuinely engaging Blog really. 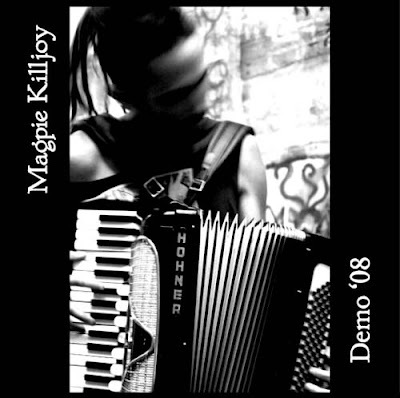 You can also download Killjoy's darkly brilliant Demo 08 for free HERE. You're absolutely right that there's very little in the world cooler than having someone whose work you appreciate tell you that they are also a fan of yours. In this case we're both truly in awe of your stuff and really looking forward to seeing the work you and Shane come out with. If the opportunity ever arises for us to collaborate in any way rest assured that we will jump at the chance! Eric is the real deal and a really nice guy as well. This work looks fantastic, thanks for sharing this, John. I've been drawn into it now, knowing that Shane and Eric are working on it together. This interweb sure is an high-opener sometimes. Look forward to seeing you and Leah on Saturday (hope we manage to get more of chat this time round).